The week in New York provided daily feasts for my eyes, tastebuds and heart. Inspired by all the new products, merchandise and ideas within the trade show, in my go to shops and on the street, food every night that left me in awe, and quality time with my son sealed the deal. I generally spent a few hours at the show each day. I imagined more but reality declined. A couple of talks on social media and blogging were quite useful. But the majority of time, I perused and visited my vendors for new merchandise. 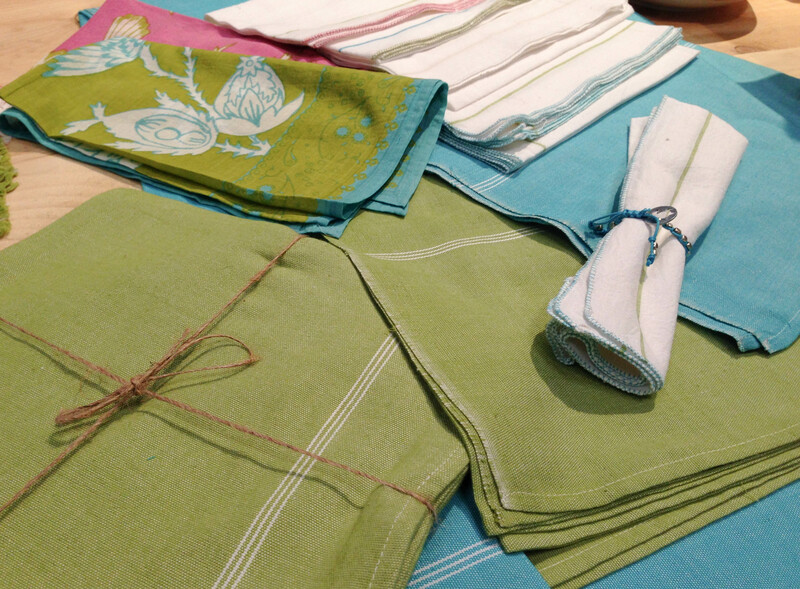 Couleur Nature for linens always provides. I’m looking for more solids with accents this year. Cecile at the French Farm, an importer, may have been one of the first vendors I connected with in 2006 and has held a strong presence at Chez Chloe ever since. 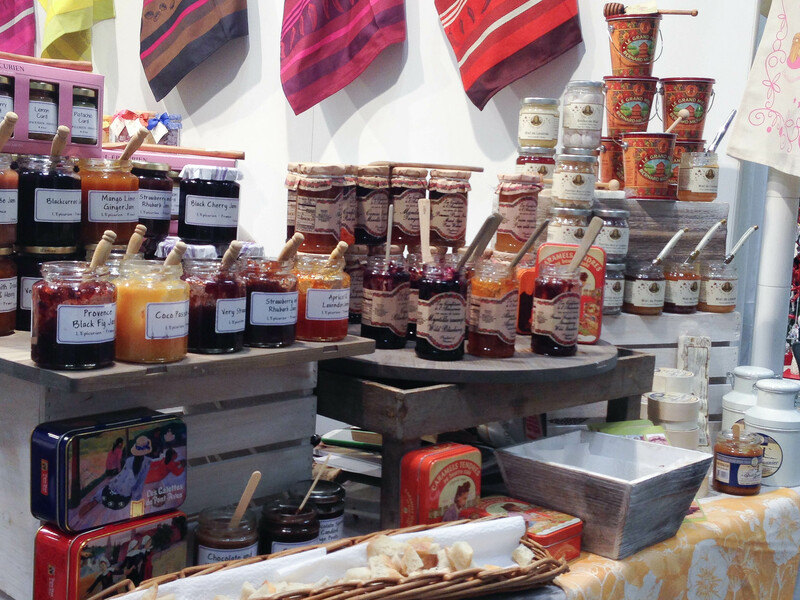 They have such a wonderful range of products and have continued to grow through the years, recession and all. 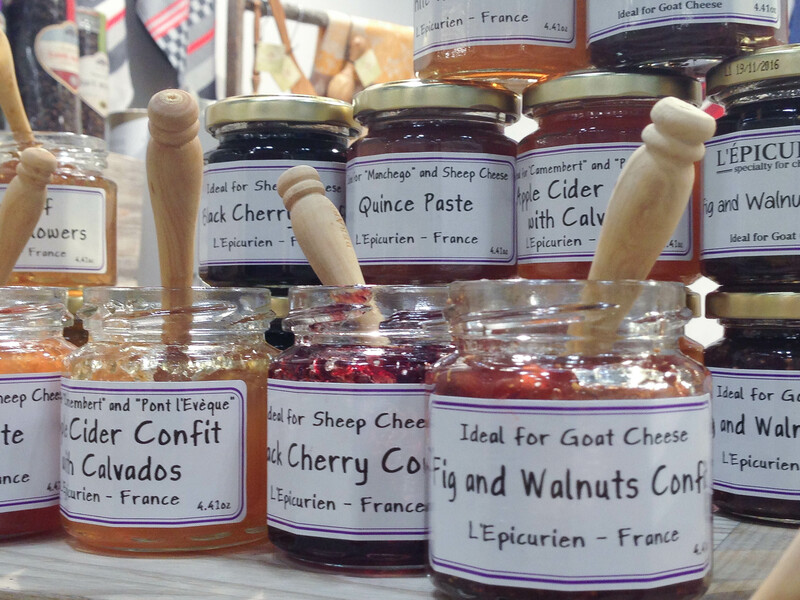 L’Epicurean’s shallots confit is wildy popular and delicious and I’ll look forward to picking up the fig and olive confit. 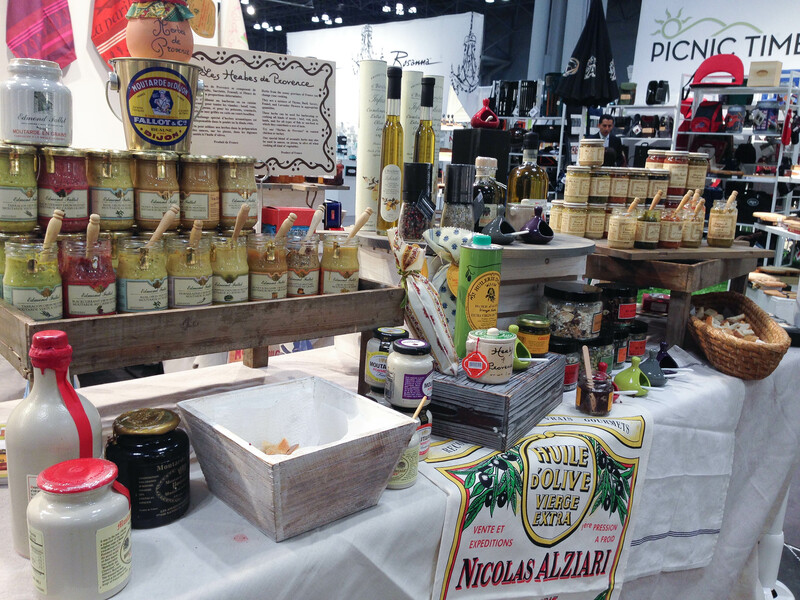 I remember seeing L’epicurean on the shelves when we lived in Paris in 2003. I’m happy to report their repertoire has expanded greatly and the quality has not diminished. These cheese confitures are always a win win I love the classic ivory and stainless steel Laguiole knives but will add a dash of color for the cheese knives or serving utensils. 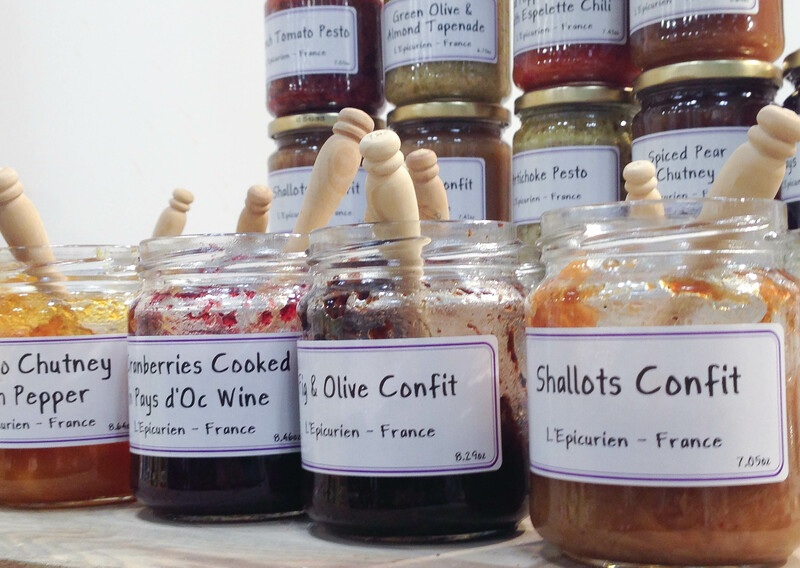 Fallot mustards might make their way to Chez Chloe shelves once again. 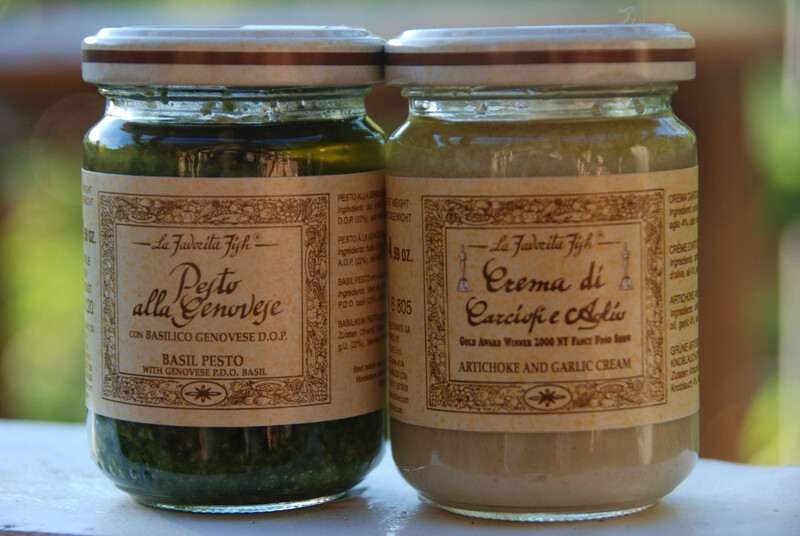 La Favorita in the right corner makes an excellent basil pesto and artichoke garlic cream. Andresey jams and Bernard Michaud honeys. Citrus, lavendar and wildflower. Izola was new to me this year being outside of the food or table realm. But being in a smaller space, I’ve strayed a little from only selling things related to food. I loved selling their beautiful green glassed, natural candles this year. 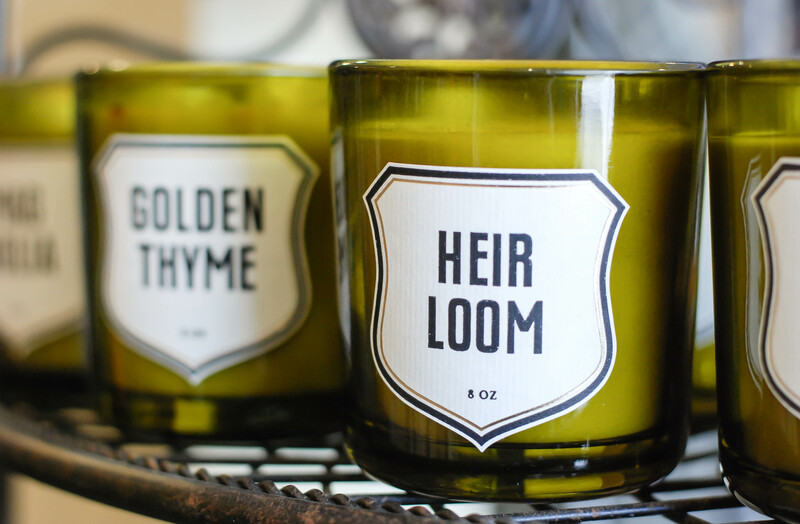 The Heirloom was a delicious, popular summer scent. I look forward to carrying the new scents of Green Moss and Elderflower. I’ll be ordering these fun shot glasses. A company I’ve admired from afar, John Derrian. Beautiful work. I’m debating how I can fit this in Chez Chloe. He works cleverly with decoupage and design and also has an eclectic shop on the lower east side filled to the brim with his serving pieces, art, books, tablewares and all sorts of unusual items. 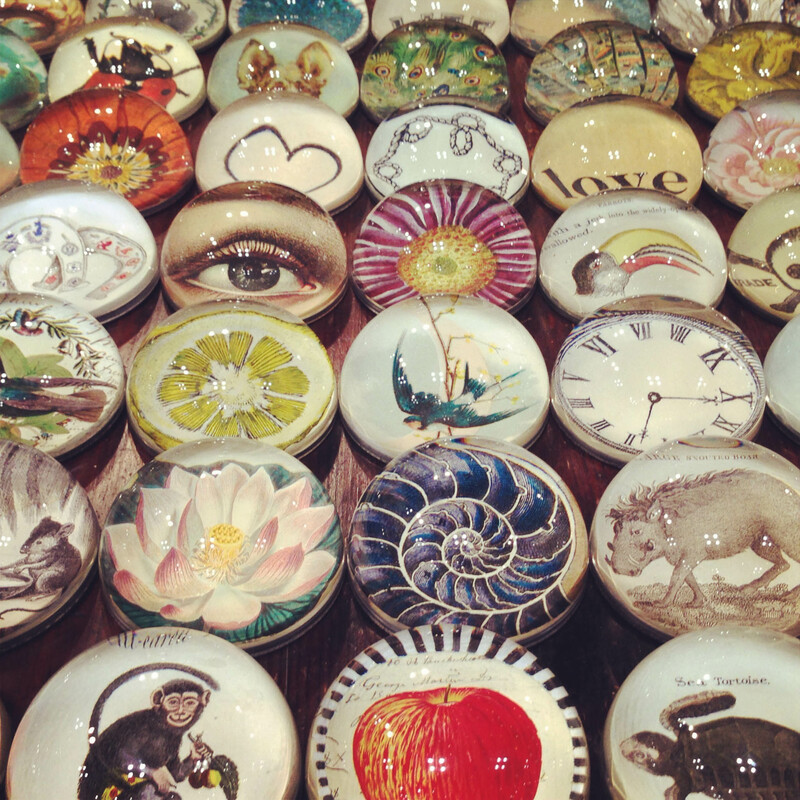 These paperweights are just a small version of what he creates. 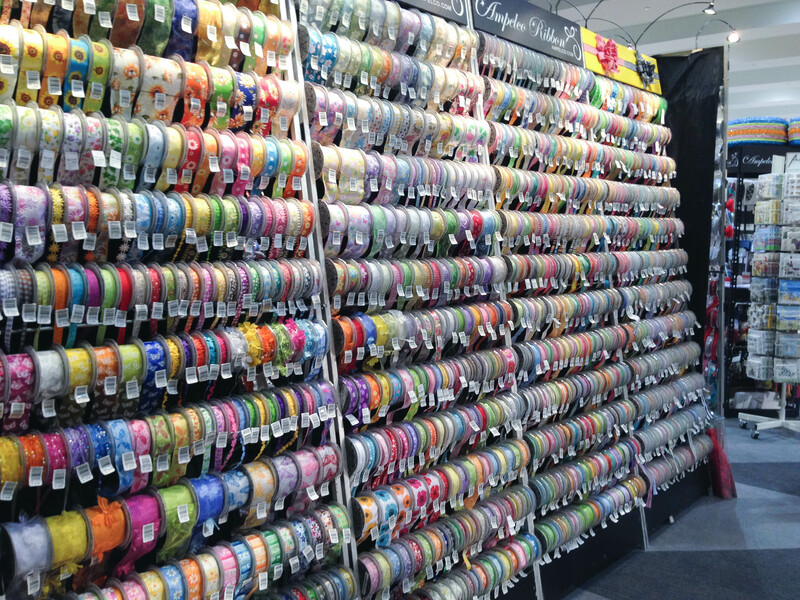 This wall of ribbon has little shop value for me but I had to add it in because it’s just so fun. 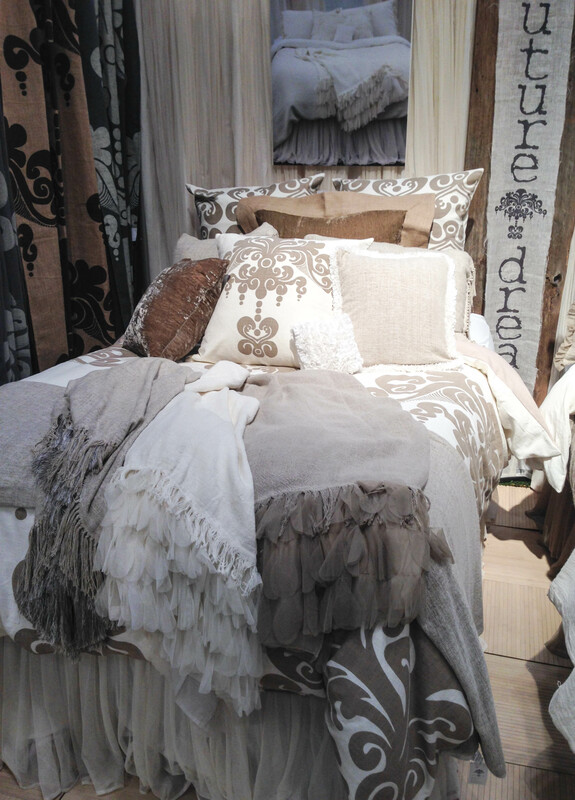 Same with the bed linen displays. I’m indulging my senses and the fantasy that I’d have a housekeeper who actually made the bed look like that everyday… or pretending like I’d have the patience to myself. I also spent a couple hours in the personal body care aisles dreaming of a full on web shop just so I could buy and sell so many of the lovely products I tested and liked. Who doesn’t want to be surrounded by clean, all natural, salts, creams and age defying jars and bottles. All of course with packaging to match. One afternoon took me to Chelsea Market on 14th. 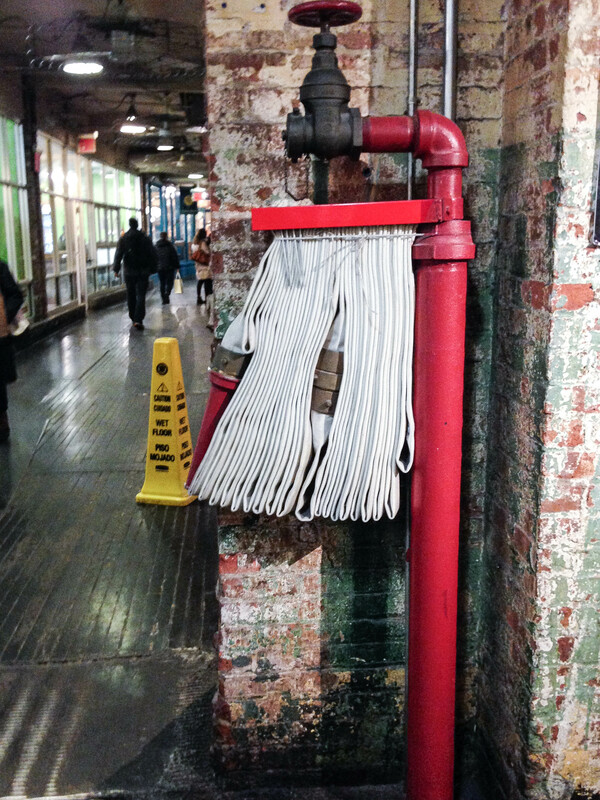 Always a lot of fun… This red fire hose asked to have its picture taken. I spend the most time in Chelsea Market Basket, who also sell wholesale and where I do buy our own actual gift baskets and other products. They have an astounding amount of specialty foods from locals in Brooklyn and all over the UK and Europe tucked into every damn corner and inch of that store. Incredible. I’ll end this post with one of our dinners at Colicchlo and Sons. Tom Colicchio debuted as a cook in many prominent NYC restaurants but I believed launched his career with the opening of Gramercy Tavern in 1994 with Danny Meyer. He has more than one venue from which to choose. 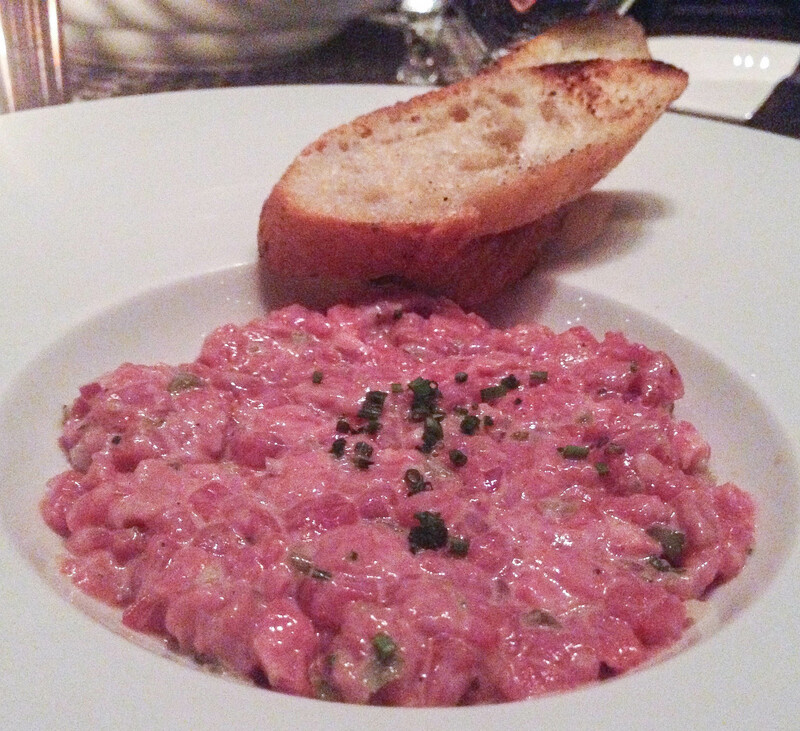 Starting with the steak tartare, always a favorite for me- it was fresh and you can check out chef de cuisine, Chris Lavey’s recipe video here. Only traditional ingredient missing in his recipe is a raw egg yolk- maybe he’s too chicken. Hahahahaha. ahem…to continue.. This photo does not do justice. And for my main, the seared tuna. I was feeling raw that night:) Reminds me to get some radish seed started so I can garnish with radish sprouts like this at home! Thanks… Funny post you have there on the Evergreen State! 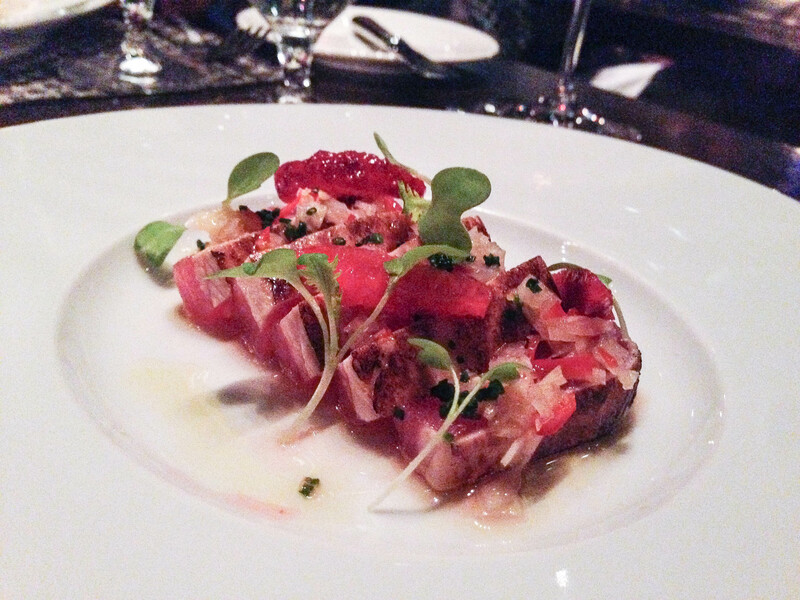 I could live on seared tuna or sashimi and tuna tartare is a favorite too. I learned if you drink green tea with it, it helps block mercury absorption- sad we have to consider that. The show was tiring and fun. I’ll probably hit the Atlanta one next. This looks like you’ve had a really swell time! The pictures give a wonderful impression of what you’ve seen. I would have gone crazy there, too. The ribbons….oh, my! You know I actually love the garlic artichoke and pesto combined on some warm penne. ummm could have some for dinner this week. But damn I’m toying with gluten free this month- and sometimes a little Paleo… I’m always trying something. My husband is a very patient eater! Beautiful photography. You’ve got me inspired! Great! These were a lot of iphone with filter pics. Not always my favorite but for sure convenient. Wow, with so many things to eat and look at, I’d be in my glory! 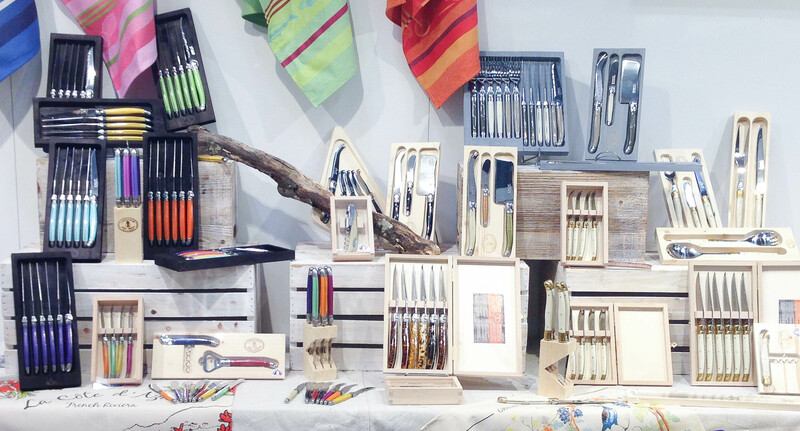 I imagine it’s really hard to stay focused at a trade show…I’d be wanting to take so many different things to my shop (if I had one). Thanks for sharing your pics. SO hard to stay focused. I generally don’t make any orders at the show as I need to get home, touch my feet to the ground and remember what 450sf look like. I’m a total body/facial care, candle and stationary ho! I indulge in just a little of each but mark out what I like to buy as a consumer. Liebe Wendy, die Aufnahmen sind so gut und zeigen interessante Produkte und Momente. LG aus Hamburg. Well… it’s not easy. I was working on a post a week and I’ve got to let go if it doesn’t happen. Getting back from the show and processing information AND my hubs, Ollie back last week for good. Lots going on. Your post brought back lots of memories, Wendy. I used to have a gift basket store in Florida and loved going to all the shows. It sounds like you had lots of fun especially with your son being in NYC. Oh I bet it does. Did you have a favorite show in particular? And what was your specialty in the shop? I’m sure yummy treats were involved. Wow so much to take in! And so much of it tasty 🙂 Looks like a lovely trip. My favourite photo is the striking fire hose. So neatly stored and a cheery red! Thanks! I loved that hose. It just stood out amongst all that brick and dark wood. 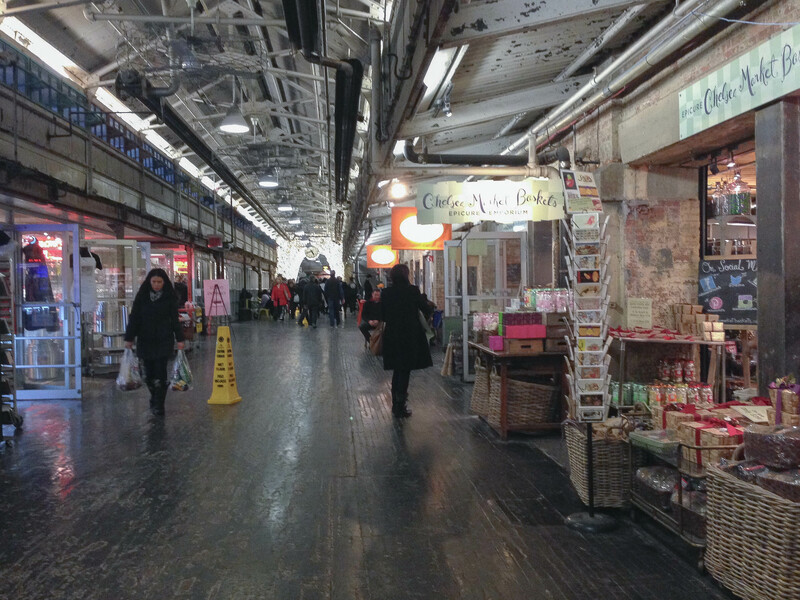 You could just eat your way through Chelsea market let me tell you. It was a great week and I’m glad I’m finally pulling the pics together. I may pump out one more post. Looks like the good times are continuing in NYC! 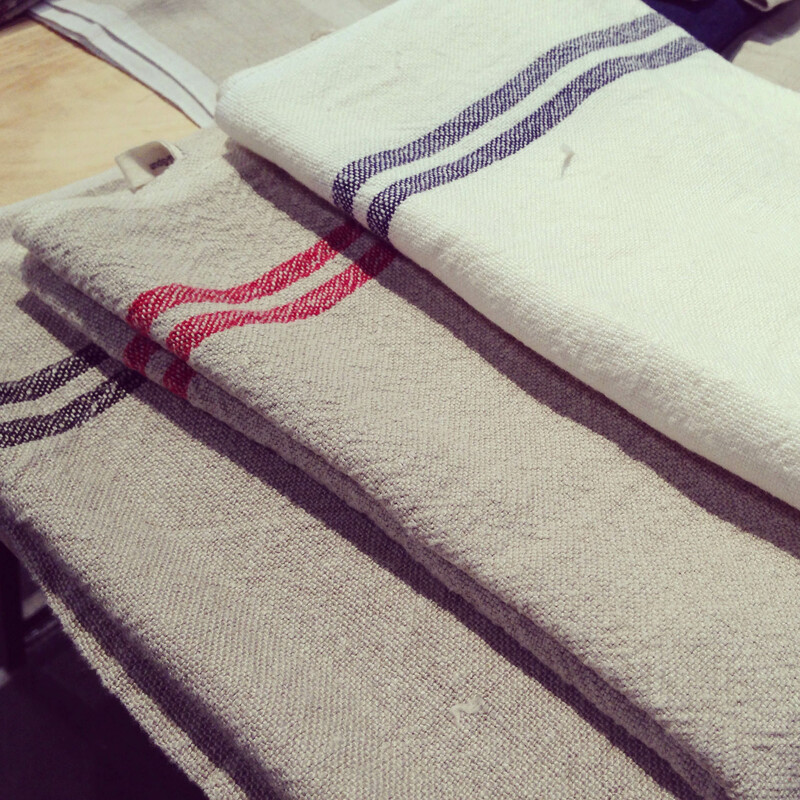 I wish I had room for bed linens. I’m such a sucker for high thread counts. Bring good shoes! 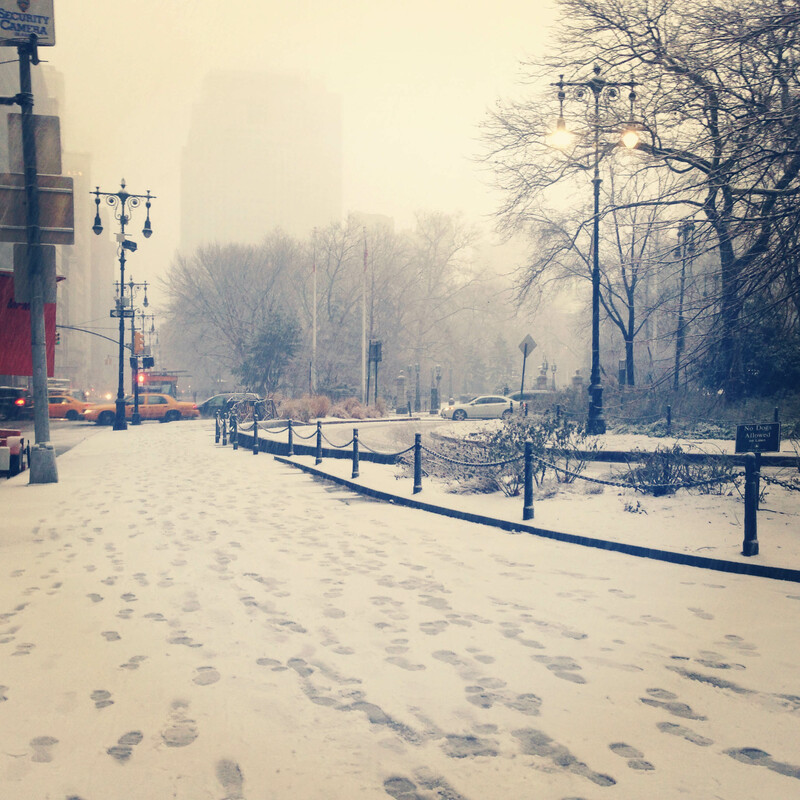 You can walk forever… and get to know the subway straight away. I don’t know why it always takes me about 4 days to start using it. Have fun! Really not at all. You can see a map online to get familiar with it. Get an app for your phone and my personal favorite – a good old fashion print map I study every time I get on a train. Rosemary Beach is up in NorthWest Florida, basically between Panama City Beach and Destin. It’s funny that you are from Florida, as my husband and I know a lady who lives up there near you! She lives on Lummi Island somewhere near that foodie wonderland Willow’s Inn Bed & Breakfast. She’s a children’s book writer, I wonder if you know her? My husband is an advertising photog and has worker with her in some capacity, i think. Wendy, your second photo is not opening up … and when clicking it tells me no file. Some lovely stuff for your shop. 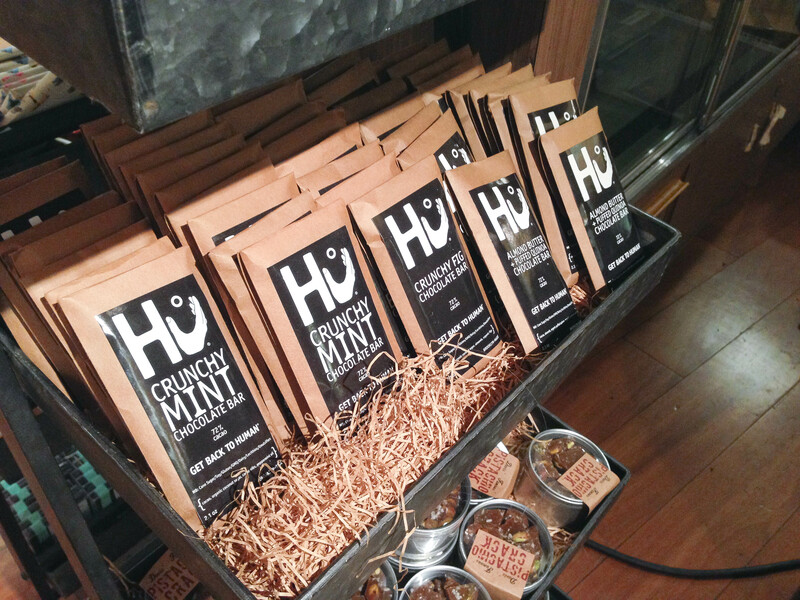 Glad you visit Chelsea Market – such wonderful spot in New York, and products are just outstanding everywhere. We only had breakfast there, because we came back down too late for the lunch – every chair was taken everywhere.